Fighter jets should inspire fear; their vicious appearance should carry some of the beastliness of their task. 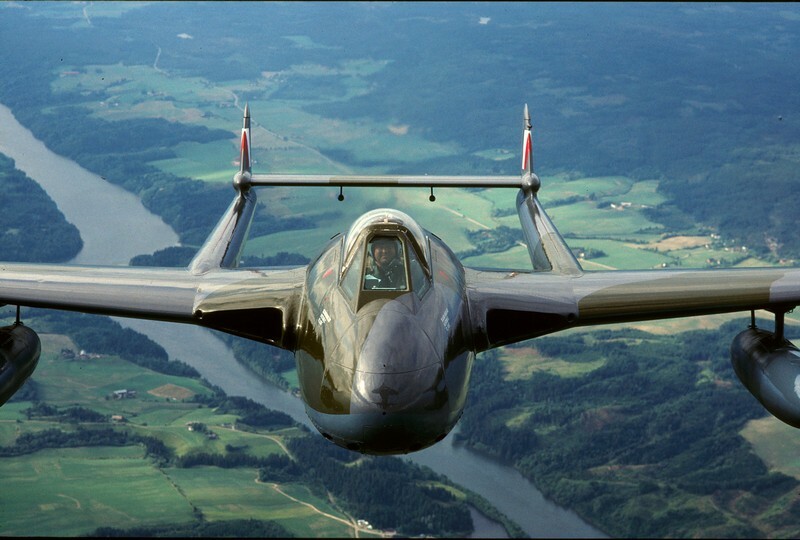 The Messerschmitt Me 262- a shallow-water killer, looked every inch the flying shark. The F-4 Phantom II was a flying ironclad, billowing satanic black smoke behind it. 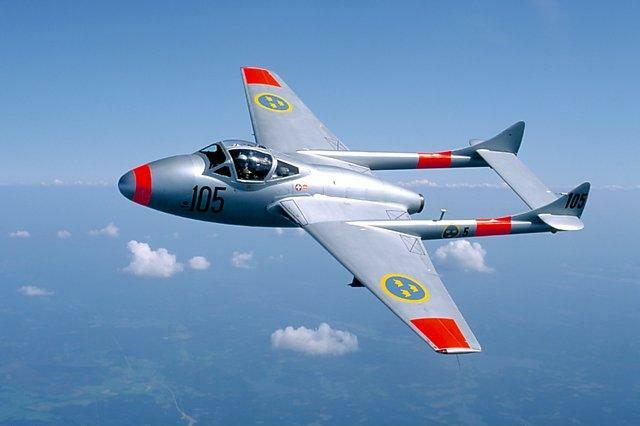 The de Havilland Vampire..well, it was cute. It didn’t look like it was going to kill anything, if anything it looked like it needed looking after. Stand next to one and it will cower in your shadow: it is tiny. The happy dog-like nose, jelly bean of a fuselage and fragile twin-boom, give it a very friendly appearance. Over 3,000 were built and today over 20 remain displayed in public places. The eccentric little Vampire seems to enjoy these retirement shows, and even in these conditions it retains its perkiness. Some aircraft become sad lonely hulks when consigned to a life on a display pole, but the plucky Vampire has enough personality to remain positively zingy. I was delighted to stumble upon one in a small park in Switzerland in 1988. 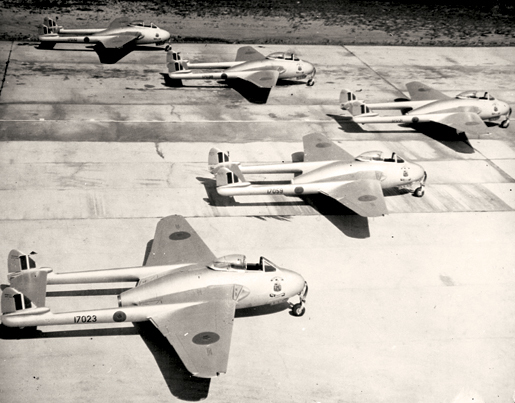 The Vampire was more agile, cheaper and longer-ranged than the Meteor. 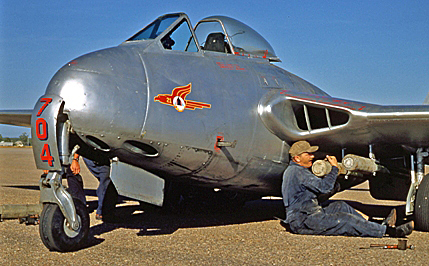 More importantly, the Vampire was the cheekiest little jet fighter ever made. “Looked like it needed looking after” — ha ha, excellent! June 8, 2014 - 4:40 pm Roger L .
It’s a lovely sunny Sunday afternoon and to make it complete one of these beauties has just flown over a couple of times and landed at Baginton, half a mile away. Fond memories of the airshows they used to hold there, sadly no longer. August 17, 2016 - 4:37 am Larry L.
I’m only a novice on a site like this, but it sure sounds like a prop plane’s sound was dubbed in to the shallow dive sequence…about 0:52-0:58.